Home Reviews Transference: ‘The Navigators’ revolutionizes rock as we know it! Transference: ‘The Navigators’ revolutionizes rock as we know it! The Australian-based band, Transference is a new modern day Psychedelic incarnation that features a core musical unit and features guest vocalists from all around the world. 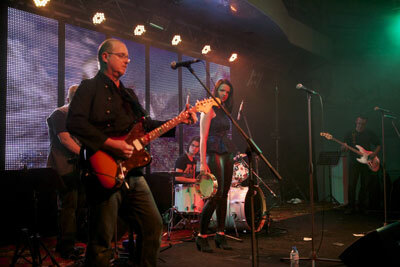 The core band consists of Michael Puskas (all guitars), Julian Reid (bass and vox), Georgia Harris (lead vox) Loughlin Harrick (drums and percussion), Steven Harris (piano / keyboards and vox) and is further enhanced on stage by, Kata Ruzsik (lead vox). In order to test the water the band signed a straight single release deal with, “Out of the Box” Records / Sony Music (USA). No expense has been spared in the production of their latest album, ‘The Navigators’ – released through DyNaMik Records Ltd – which was produced by New York’s Ryan Kelly and mastered by Pete Maher (U2, Jack White, The Killers, Rolling Stones). Transference is one of those bands that defy categorization. This album packs together all of the disparate talents and eclectic styles of the band members into a cohesive whole. Each of the musicians has their moments to shine. Riffs and blistering solos provide ample space for guitarist Michael Puskas; softer songs allow emotional depth for vocalists Georgia Harris and Kata Ruzsik; bass breaks for Julian Reid comes off as incredibly funky and fun. Almost every song becomes a fevered workout for drummer Loughlin Harrick and keyboardist Steven Harris as they weave their sound into every inch of the album. The differing styles offer great appeal as well. The blistering riffs, concentrated drumming, and chiming flow of the keyboards will please fans of progressive and psychedelic rock; the softer guitar breaks, downplayed beats, and bass-keyboard segments will jive with ambient and chillout fans; the mystical distended grooves will even catch the interest of world music listeners. Each song truly offers something new. A new genre is born with this release, and it contains only one band- Transference. In short, this album is absolutely breathtaking. Thank heavens for bands so willing to push the envelope the way Transference so daringly do. From the opening notes of the first track “Lady Isis” ( the great creator goddess Queen Isis, wife of Osiris and the direct correlation to the Sun god Ra), which is also the lead-single taken from the album; you know that you’re in for something far outside of the ordinary. And it only gets better and better from there on. I’m absolutely torn between which of these songs is the better of the 9 to be found on ‘The Navigators’. This album is simply nine tracks of solid euphoria, with no song any less euphoric than any other. “Eloquence” starts you out in the midst of Transference’s strong suit: a deep sense of mystery. Georgia Harris’ voice is white light refracted through a shattered psyche: at times pure, resonant and beautiful, at others dark and moody. “The Hydra” provides a piano-driven instrumental, wrapped up in a maze of meandering strings. “Blindness,” is sung soulfully by Kata Ruzsik over a dose of dominant electric piano and rolling bass rhythms. Bringing us to what I’ve finally decided is the best track on the entire album – “Winged Serpent”, which has all of the dynamics that the band are famous for, with Michael Puskas sounding quite a bit like David Gilmour. In fact there is riff which sounds like a 4 bar nod to Pink Floyd’s “Learning To Fly” close to the end of the song, that really stirred my emotions. 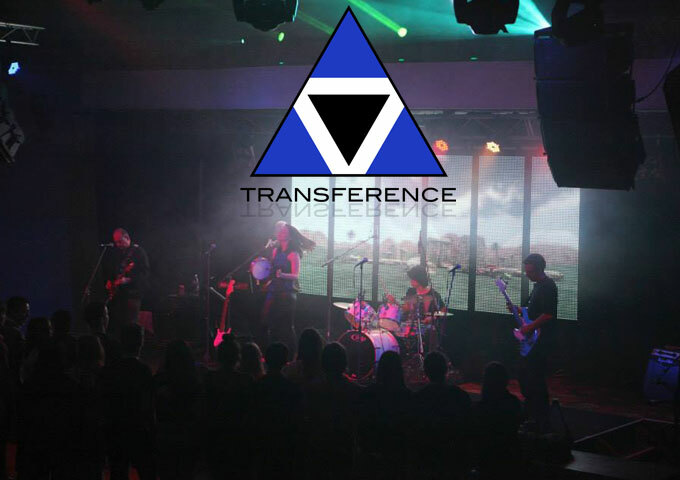 One of the amazing things about Transference is that they manage to be completely innovative while incorporating some of the best elements of not only classic rock, but also progressive and alternative rock. Something they clearly demonstrate on “Zarathustra”. A close second on ‘my most favorite list’ goes to the album closer, “Echoes”, a rendition of Pink Floyd’s famous track where once again Puskas pulls off his usual magic, with some intense and tastefully played guitar riffs and solo interludes. This track is a must if you’re drawn to intense, energetic, passionate and visceral progressive rock. The bliss of Transference is that you can just feel them on an intuitive level and have one of the most transcendent artistic experiences imaginable. The satisfaction doesn’t abate when you dig in and really analyze the music and lyrics, though. Your intuitive enjoyment of the work is amplified when you go in and deal with its parts; discovering the depths and heights of meaning, emotion and skill. Transference merges music and bridges ideas, while remaining unencumbered by a label or definitive genre. ‘The Navigators’ is the whole package. It is uncompromising on artistic integrity. 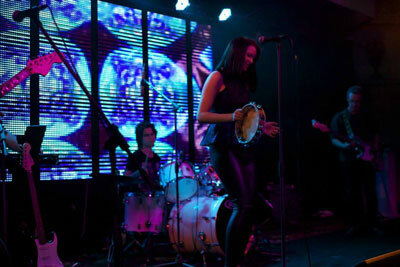 It pushes the very boundaries of rock music into a new and exciting place. The musicianship is top notch, as it treads ethereal ambience, high energy, intriguingly complex rhythms and beautiful melodies. 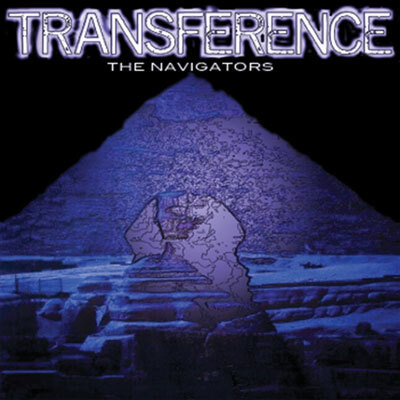 Quite simply, with the release of ‘The Navigators’, Transference has revolutionized rock as we know it!